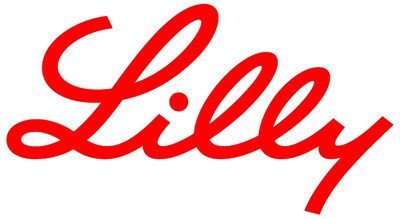 RIDGEFIELD, Conn. and INDIANAPOLIS, Oct. 4, 2018 /PRNewswire/ -- Boehringer Ingelheim and Eli Lilly and Company (NYSE: LLY) today presented the full results of the long-term cardiovascular outcome trial, CARMELINA®, which studied the impact of Tradjenta® on cardiovascular safety and kidney outcomes in adults with type 2 diabetes at high risk for heart and/or kidney disease. The study met its primary endpoint, with Tradjenta demonstrating a similar cardiovascular safety profile compared with placebo when added to standard of care. The overall safety profile of Tradjenta in the trial, including adults with kidney disease, was consistent with previous data and no new safety signals were observed. The full CARMELINA results were presented at the 54thEuropean Association for the Study of Diabetes Annual Meeting in Berlin. "Heart disease is a major complication and the leading cause of death for people living with type 2 diabetes. CARMELINA adds important new evidence for type 2 diabetes patients at high risk of heart and/or kidney disease, a population that has been underrepresented in other cardiovascular outcome trials with diabetes, but whom we see in our daily practice," commented Bernard Zinman, M.D., professor in the Department of Medicine, University of Toronto and senior scientist at the Lunenfeld-Tanenbaum Research Institute, Mount Sinai Hospital, Toronto, Canada. In CARMELINA, cardiovascular events that contributed to the primary endpoint, defined as time to first occurrence of 3-P MACE (cardiovascular death, non-fatal myocardial infarction or non-fatal stroke), occurred in 12.4 percent (434 people) of the Tradjenta group compared with 12.1 percent (420 people) of the placebo group. CARMELINA also included a key secondary composite endpoint, with Tradjenta demonstrating a similar kidney safety profile compared with placebo. This secondary composite endpoint reflecting declining kidney function occurred in 9.4 percent (327 people) of the Tradjenta group compared with 8.8 percent (306 people) of the placebo group. In CARMELINA, the risk of hospitalization for heart failure was examined as a pre-specified endpoint that was subject to adjudication. * Hospitalization for heart failure occurred in 6 percent (209 people) of the Tradjenta group compared with 6.5 percent (226) of the placebo group. "Diabetes is a complex condition to manage and there remains a need for treatments with proven long-term cardiovascular and renal outcomes," said Thomas Seck, M.D., senior vice president, Medicine and Regulatory Affairs, Boehringer Ingelheim Pharmaceuticals, Inc. "The CARMELINA results reinforce confidence in Tradjenta as an effective and well-tolerated treatment and are particularly meaningful for those most vulnerable to serious complications, including heart failure and kidney disease." "We have created a unique cardiovascular outcome trial program for Tradjenta with two trials – CARMELINA, the results of which are released today, as well as CAROLINA®, which will report initial results in the near future," added Jeff Emmick, M.D., Ph.D., vice president, Product Development, Lilly Diabetes. "This program will provide clinical data on the long-term safety profile of Tradjenta in a broad range of adults with type 2 diabetes, reflecting patients whom doctors see in their daily practice." CARMELINA (CArdiovascular safety and Renal Microvascular outcomE with LINAgliptin in patients with type 2 diabetes at high vascular risk) is a multi-national, randomized, double-blind, placebo-controlled clinical trial that involved 6,979 adults with type 2 diabetes from 27 countries at more than 600 sites observed for a median duration of 2.2 years. The study was designed to assess the effect of Tradjenta (5 mg once daily) compared with placebo (both added to standard of care) on cardiovascular outcomes in adults with type 2 diabetes and high cardiovascular risk, the majority of whom also had kidney disease. This population of people with high risk of cardiovascular and/or kidney disease reflects patients that doctors see in their daily practice. Standard of care included both glucose lowering agents and cardiovascular drugs (including antihypertensive and lipid lowering agents). As cardiovascular disease is a major complication and the leading cause of death in type 2 diabetes, cardiovascular safety of all type 2 diabetes treatments is important. Worldwide, most people with type 2 diabetes die of a cardiovascular event. In 2015, Boehringer Ingelheim and Eli Lilly and Company announced results from the landmark cardiovascular outcome trial EMPA-REG OUTCOME® with the SGLT2 inhibitor empagliflozin. CARMELINA is one of two cardiovascular outcome trials with the DPP-4 inhibitor Tradjenta. CAROLINA, will be the first DPP-4 inhibitor cardiovascular outcome trial to compare commonly used second line treatments — Tradjenta and the sulfonylurea glimepiride. This trial includes adults with relatively early type 2 diabetes and increased cardiovascular risk or established complications, with less than optimized blood sugar control. The majority did not yet have heart and kidney disease. The study will report initial results in the near future. CARMELINA and CAROLINA will provide clinical data on the long-term safety profile of Tradjenta in a broad range of adults with type 2 diabetes, which reflects patients that doctors see in their daily practice. Tradjenta®, CARMELINA® and CAROLINA® are registered trademarks of Boehringer Ingelheim.